The trend towards mobility is taking root in organizations of all sizes. Representing a significant shift in the way that business and IT operates, this shift brings its own set of unique security concerns. To establish a safe and secure mobile environment, you need a thorough understanding of what the latest threats are and what you can do to protect against them. 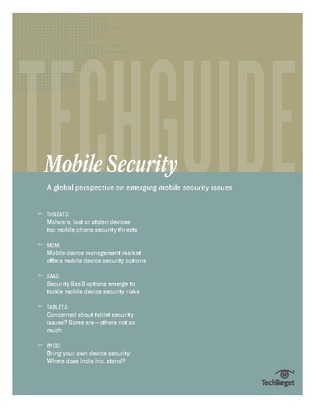 This in-depth expert guide examines the mobile security issues that arise as organizations seek to empower their workers and connect better with consumers through increased enterprise mobility.